OMG, YES! Perfect! 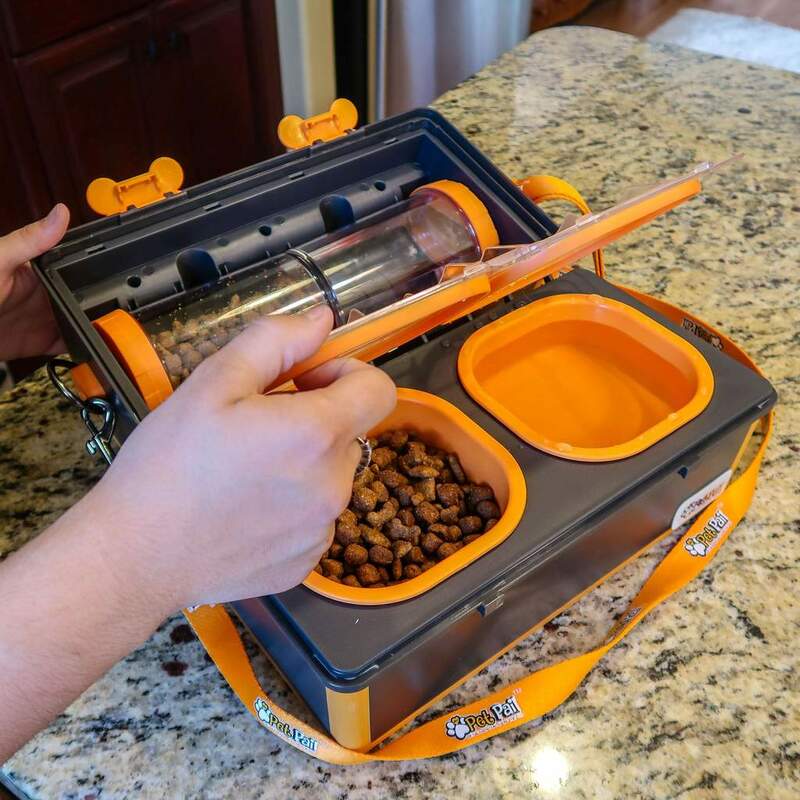 This is Exactly what I needed for my “enthusiastic” Mini-Schnauzer, who would regularly get so excited at mealtime , he’d jump around and tip over his bowls of water and dog food all over the room. 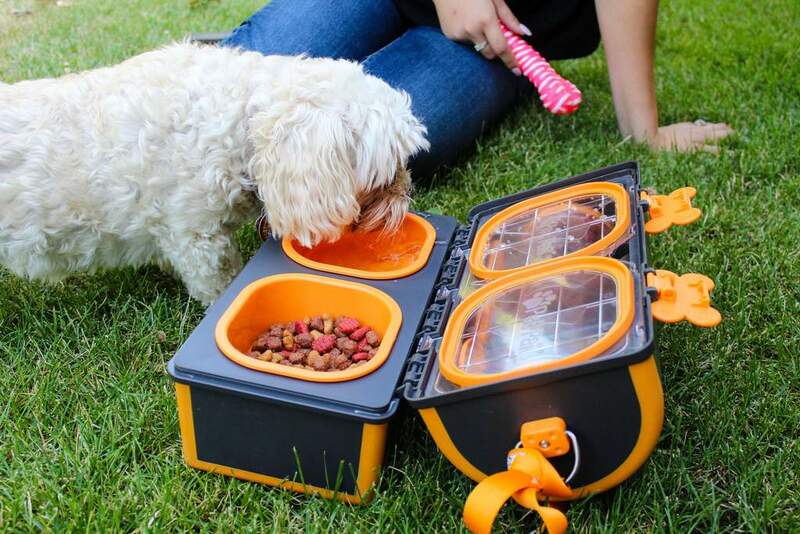 This new product keeps both food and water bowls securely stable, with no tipping and no mess! Highly recommended! 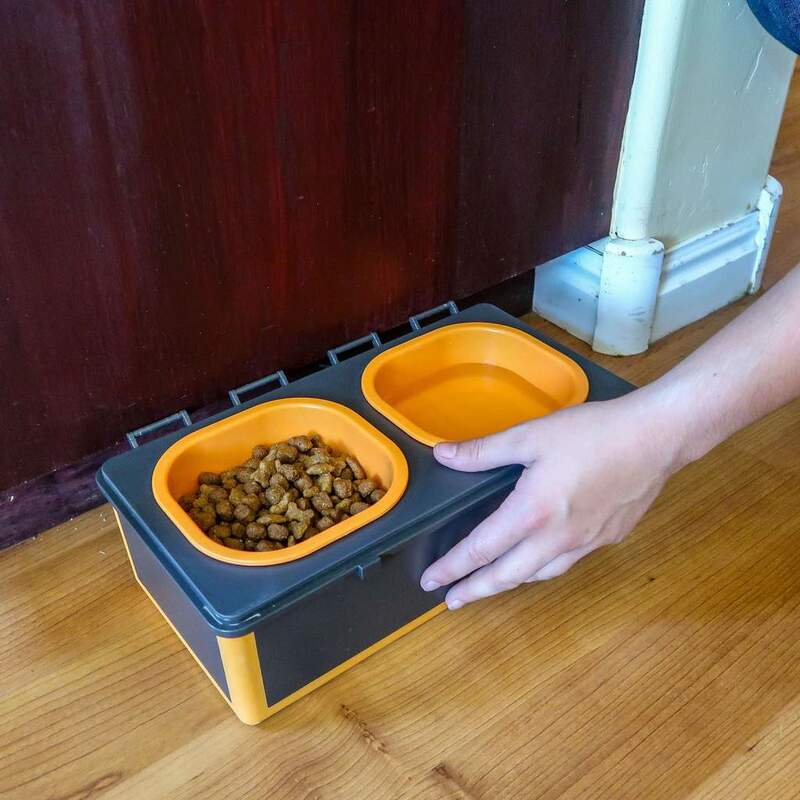 Good and handy pet feeder stand. I can take it in the car and walking. Very sturdy and functional.. My little Jack Russell loves eating and drinking out of the dog bowls. 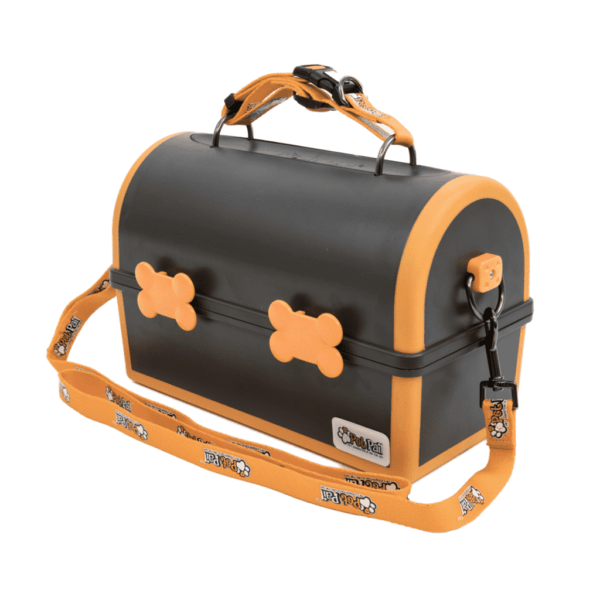 Pet travel is a lot easier than before. Great. 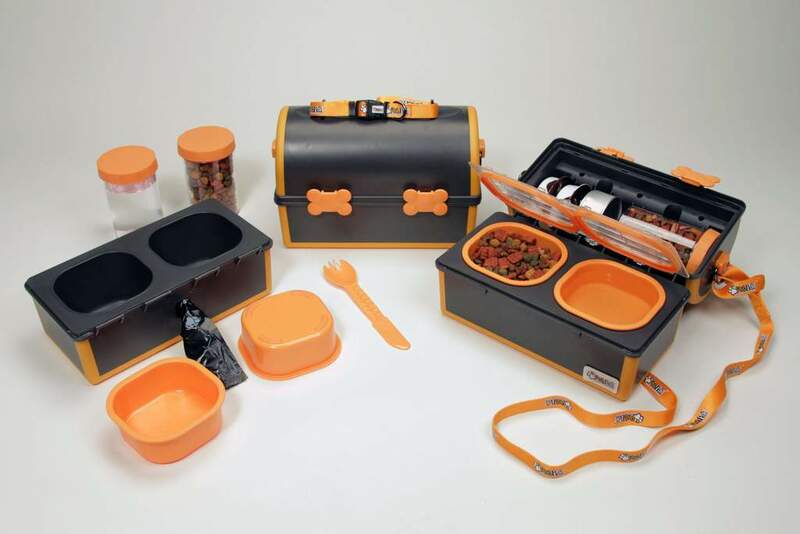 Now no more tipping over water bowls and mess everywhere at feeding time. 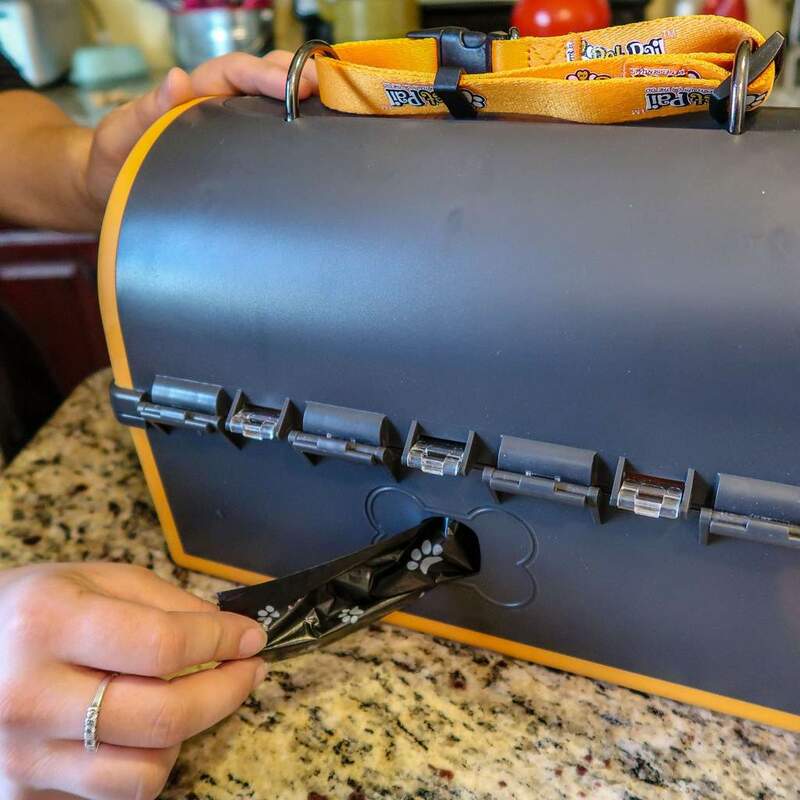 Fast shipping with amazing customer service. 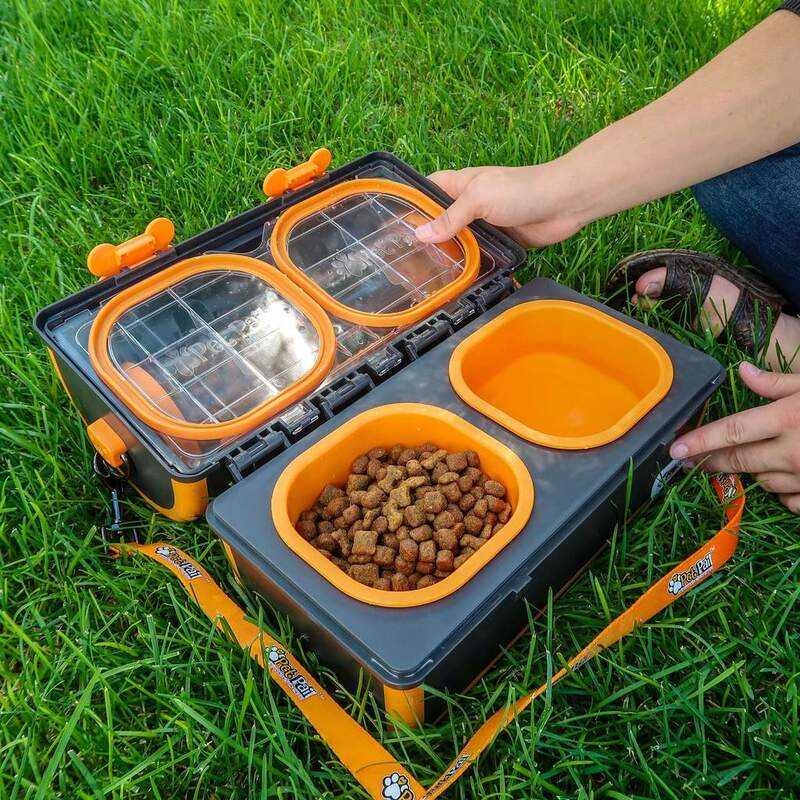 Would recommend to anyone with a pet that is a terror when feeding, or travels with their pet. That’s me, and probably lots of pet owners. 1 star off, wish it was bigger, but honestly, it would be less portable, so i’m being picky. 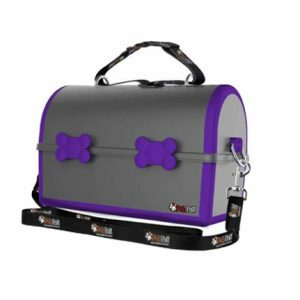 This is a great durable pet travel unit. I take Jake with me everywhere and this pail hasn’t let me down. I am back and forth from job site to job site and haven’t had one scratch or dent. I really like having all Jakes stuff with me in one place too. 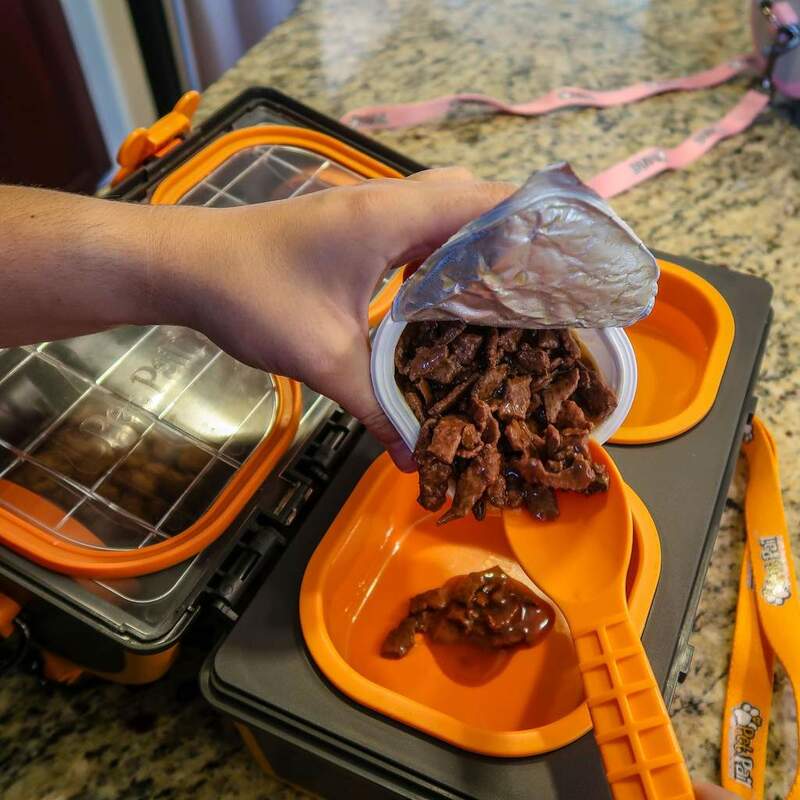 At first we went with collapsible bowls, it was a nightmare. Since I give my dog canned food it always smooshed all over the place when I squished the bowls down. They would slide all over and all the water ended up all over my jeep. This product is perfect, it doesn’t tip. 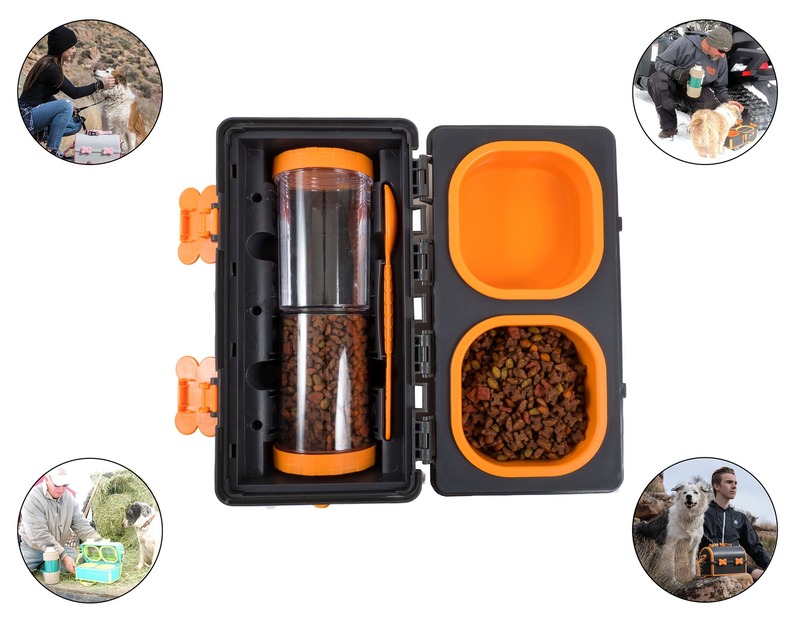 It doesn’t spill and I can store all my dogs food and water together. 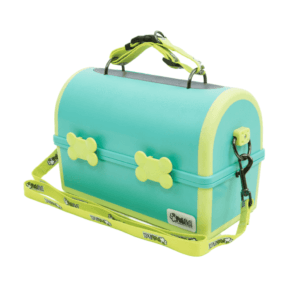 I also find this pail very stylish and extremely durable. I left it on top of the car once and nothing happened when it fell. I think it’s the perfect size for my medium size 50 pound dog. Over the years I’ve bought and thrown out a ton of dog bowls. I have to say I really love this product. I was unsure because of the price but considering I’ve basically been throwing money away with the cheap ones I went for it. This pet pail is stronger than I could have hoped for. 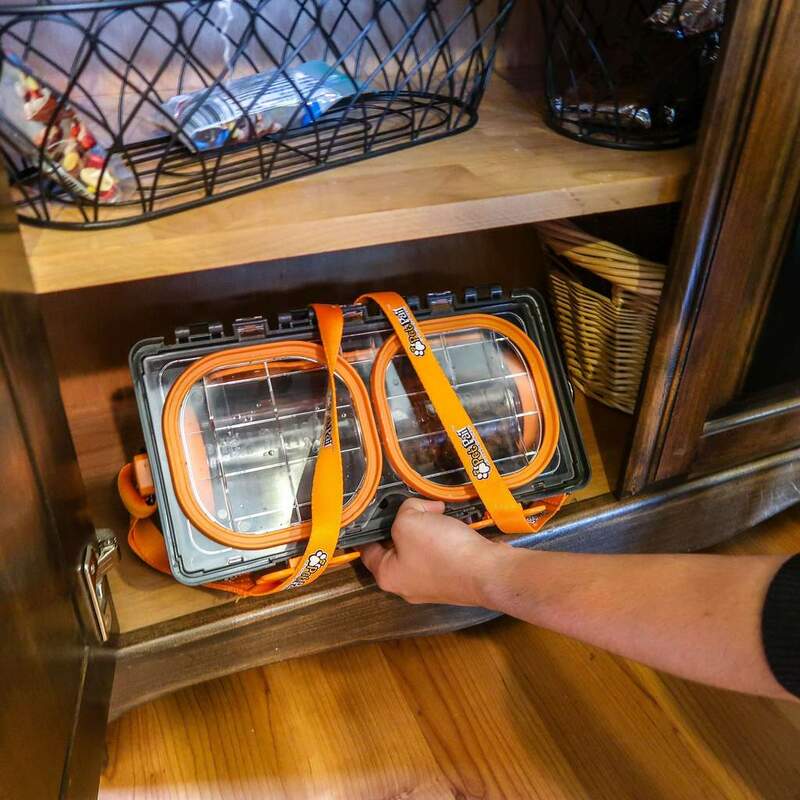 I can easily take all my Retriever’s food and water with me, no spilling. I really like the collar and leash too; they are the perfect size. 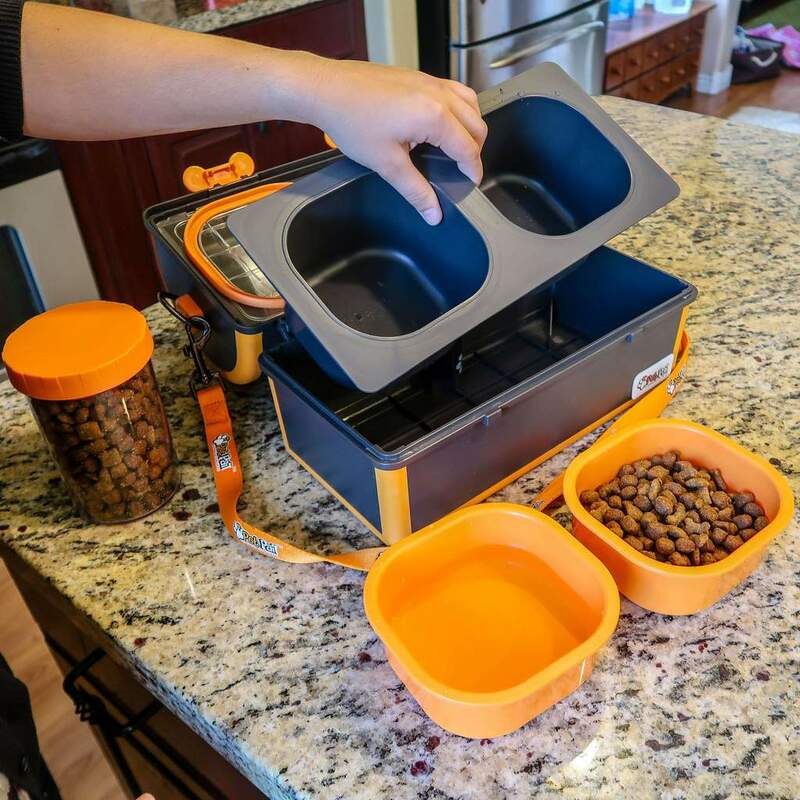 Very happy that this product has a raised holder so my cat can eat comfortably from the bowls, plus that don’t slide around. 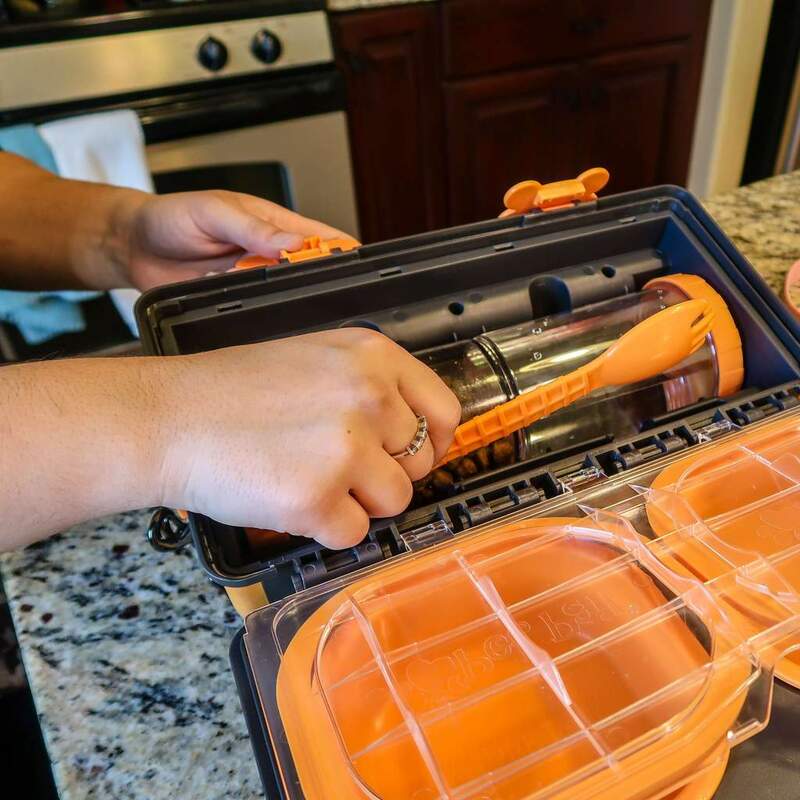 The bowls are very sturdy and easy to clean as is the unit itself. 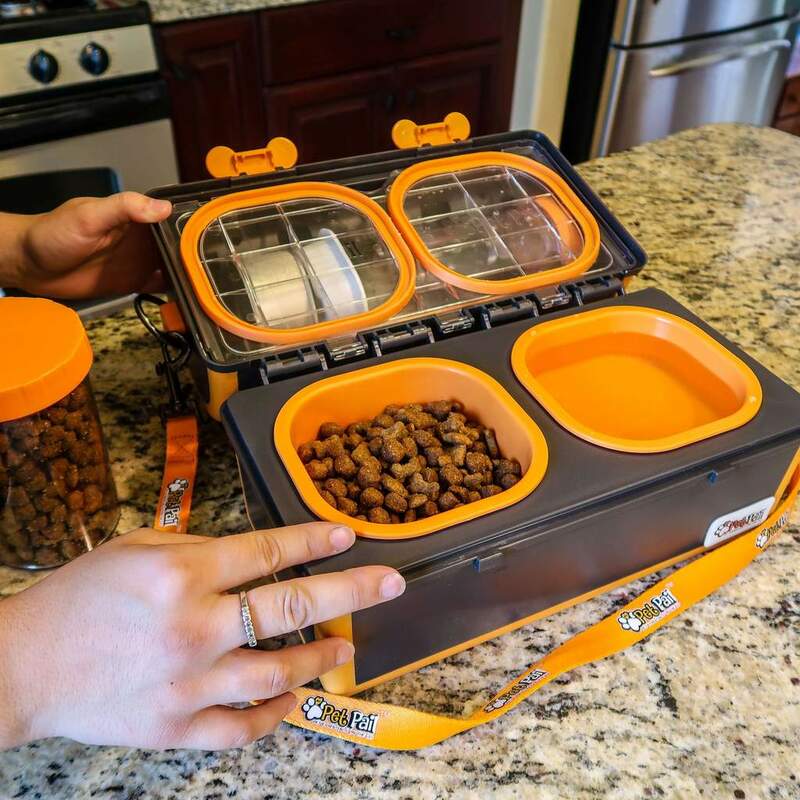 I think this product is great for cats as well as dogs and will likely be buying one for my sisters Christmas gift. I got this as a gift for my dad but snuck a peak at it when it arrived. It was better than I could hope for. My dad takes his Lab all over and I know he will use this all the time. I can’t wait to give it to him for Christmas. 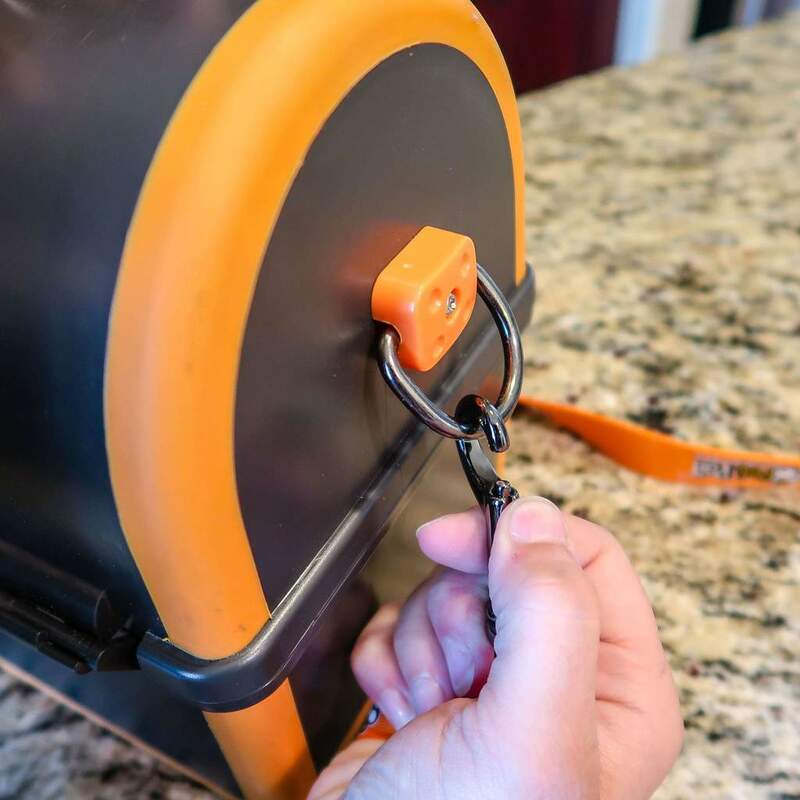 My Pet Pail has helped keep me organized. I always forgot something when I took my Corgi with me places. I’d remember the food but forget dishes, sometimes vise-versa. One time I forgot a leash…that was fun. When I saw this I was so excited. 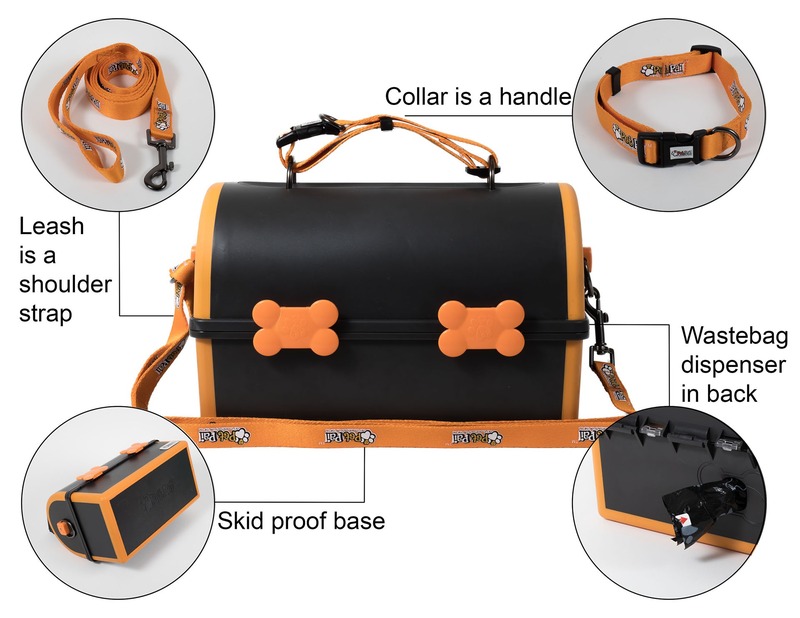 I would recommend this for sure, especially for people that travel with their dogs like I do. 5 stars for sure.